What does it actually mean to teach an inclusive mixed-ability class? From the author of the classic teacher text Commonsense Methods for Children with Special Needs this new book from Peter Westwood fully acknowledges what is feasible and useful to teachers in today’s inclusive classroom. This insightful teaching resource promotes a fully inclusive approach to teaching the common curriculum to all, while acknowledging differences among learners in relation to intelligence, gender, socioeconomic background, cultural background, language skills and disabilities. 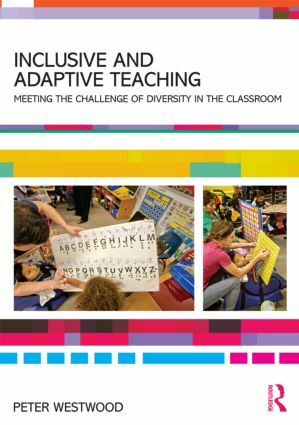 Drawing on the underlying principles of inclusive education, and on curriculum and learning theories, Westwood discusses in detail the challenge of diversity in the classroom. The writer draws appropriately on international research and current learning theories to support this approach, whilst each chapter contains an up-to-date list of online and print resources easily available to teachers who wish to pursue topics in greater depth. This book will be of interest to both practising and trainee teachers and teaching assistants, as well as school principals, school counsellors and educational psychologists.